In my earlier post on crafting more jobs, I hinted at the idea that diversifying both start-up teams and types of industries was key to job creation. I also stated that SBA backed lending is insufficient to fill the job gap, estimated at 11 million jobs by the Brookings Institute. Source: SBA Summary of Performance and Financial Information FY 2009. 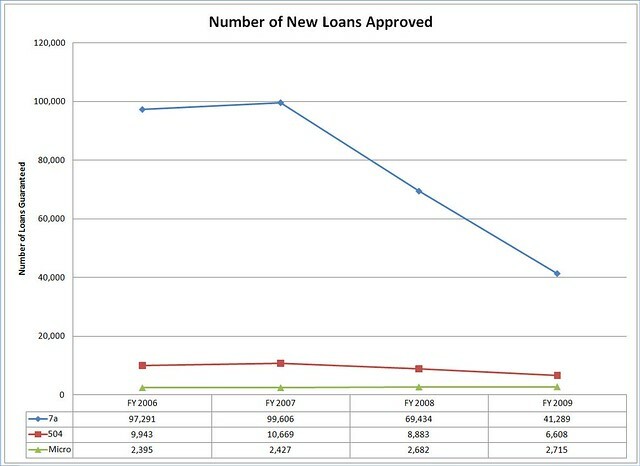 Note that in both 2008 and 2009 SBA creation/retention numbers are significantly lower than 2006/2007 in spite of additional funding available to banks through the American Recovery and Reinvestment Act of 2009 to guarantee loans. Why? The 22 largest banks, including Wells Fargo, Bank of America and Chase cut more than $1 billion dollars from their small business lending balance. Smaller, community-based banks have continued to underwrite SBA loans, and if H.R. 5297, the Small Business Jobs and Credit Act of 2010 passes, it would provide $30 billion to banks with less than $10 billion in assets that could generate $300 billion in new lending. Action item: contact your elected representatives and ask them (nicely) them to allow the Small Business Jobs and Credit Act to come up for a floor vote. Encourage them to support it so businesses have capital to expand and add jobs. Washington DC has bounced back much quicker than other parts of the country, so they may need to be reminded that additional efforts are necessary. Again, government backed lending for start-ups is a key piece of the puzzle, but there are additional solutions which could add momentum to a recovery. Action item: contact your elected representatives and ask them them to co-sponsor the Small Business Jobs and Credit Act and pledge to allow it come up for a floor vote this session. Google, eBay, Intel and Yahoo grew into major employers in part due to net neutrality, the principle that keeps the Internet open and free from discrimination. It is vital that the Internet continue to serve as an accessible vehicle for free speech, economic opportunity and civic engagement. Action item: contact the FCC and ask them them to protect consumer access to the most important communications medium of our time. The FCC must regain its resolve to protect Net Neutrality on wired and wireless networks. Please ask them to keep the Internet open and free of corporate gatekeepers. While money, infrastructure and labor is cheap, we should also increase our investment in affordable broadband. This investment has the potential to deliver dividends in medicine, education and entertainment as well as commerce and new job creation. 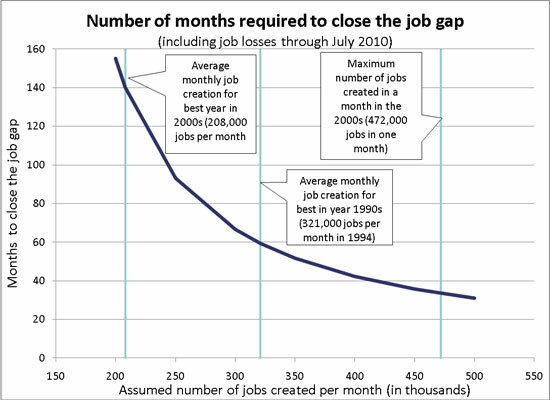 Start-ups won’t create all of 11 million jobs we need, but saner policies such as the four I’ve outlined here can make a significant impact on the pace of new job creation going forward. Stay tuned for a look at additional solutions in the days ahead. This entry was posted in Essays and tagged economy, job creation, start ups. Bookmark the permalink.